The brewery was at the heart of Mansfield and its reach spread much further than the dozens of trucks leaving the main site off Great Central Road loaded with gallons of bitter. The brewery staff supported many local charities and causes down the decades as our photos show. If you have any brewery snaps then email them to newsdesk@chad.co.uk. This group of brewery staff are pictured preparing to set off on a sponsored walk in 1982. Let's hope they kept themselves hydrated with water along the way and not bitter! This looks like a welcome bit of down time for staff at the brewery. We don't know the date but what better way to unwind than with a half of Mansfield? 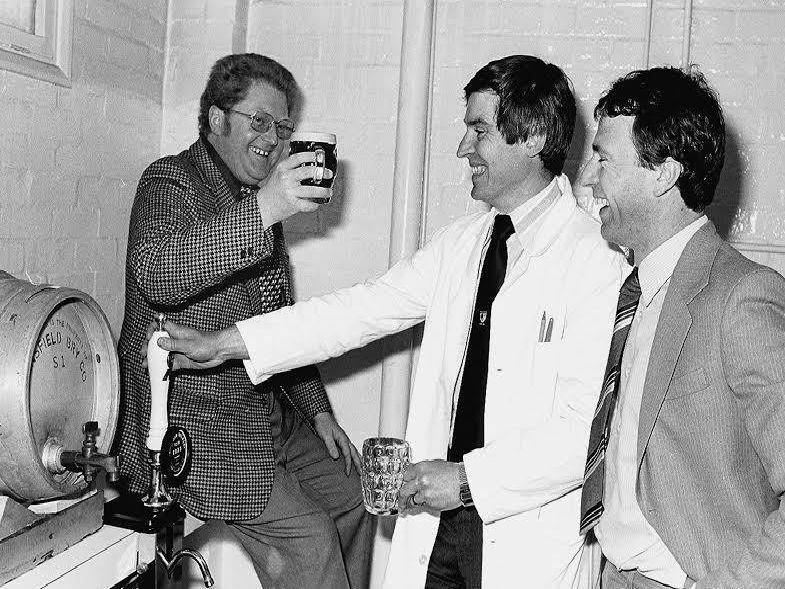 These visitors to the Mansfield Brewery site are from the Guild of Editors and include, third from the left, former long-serving Chad chief Jeremy Plews. A flashback to 1989 and an advert splashed across a large billboard featuring the last leader of the Soviet Union, Mikhail Gorbachev. Are we sure he never tasted a pint of Mansfield?